Opportunity awaits at the GE Aviation Small Business Supplier Symposium. GE Aviation executives will be on hand to provide insight into GE Aviation's business, focusing on opportunities for California suppliers like you to provide direct or sub-tier materials to GE's supply chain. A post -event study quote with GE Aviation sourcing focals is also planned for those suppliers that GE Aviation feels match capacity, capability and overall aerospace industry needs. available during the afternoon to help position your company as a potential supplier. After submitting this form you will be redirected to the payment page in order to complete the registration process. Cost for the event is $25 plus $1 for payment handling fees. Total price is $26. Connectory.com - the United States Network - contains detailed capabilities profiles of U.S. industrial and technology companies across all industries at every level of the supply chain. The goal is to link United States businesses to each other and to provide information about the industrial and technology base of the economy. It is a powerful means for government, large company, and institutional buyers to identify sources of products, services, technologies, capabilities, and capacities. For more information, visit the Success Stories page. 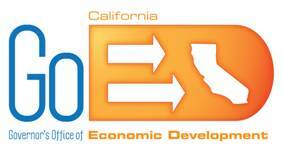 Connectory.com is the flagship project of the San Diego East County Economic Development Council.